Overseer Pastor Perryman married the lovely Lady Sophia L. Gillett on April 24, 2004 and together they founded Bread of Life Christian Fellowship July 3rd 2005. Overseer Perryman became the Senior Pastor of Kingdom Life Faith Center, on March 18, 2012, formerly know as Christ Is the Answer Church, Overseer Perryman, is also the CEO of Curtis Perryman Ministries, an outreach ministry geared to teaching the gospel of Jesus Christ through conferences, crusades, revivals and seminars. Overseer Perryman is the founder of The Blessing Flow Conference, a conference whose mission is to Restore Relationships; Rekindle Dreams & Desires and help bring the Body of Christ into God's Supernatural Promotion through obedience. Overseer Perryman is a spiritual son of Dr. Fred L. Hodge, Jr. of Living Praise Christian Center, located in Chatsworth, CA.. He is also affiliated with VAMA (Vision Alliance Ministerial Association) founded by Dr. Fred L. Hodge, Jr. and FMA (Faith Ministerial Alliance) founded by Dr. Bill Winston of Living Word Christian Center located in Forest Park, IL. 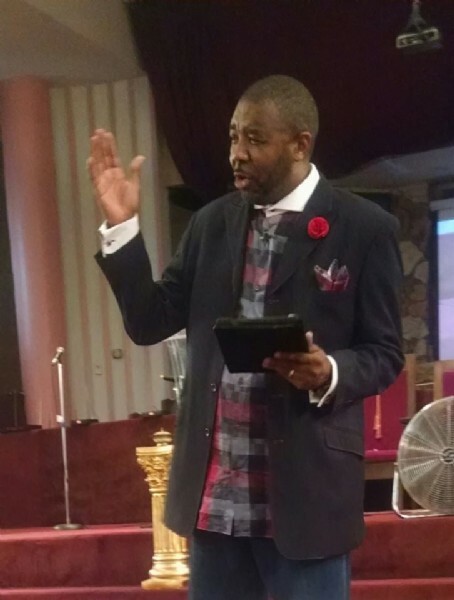 Overseer Perryman, is an Anointed, Gifted and Passionate Preacher/Teacher,. His sole desire is to build up the Body of Christ for "NEXT LEVEL LIVING, by teaching them the Word of Faith. Overseer Perryman is also a much sought after conference speaker and seminar teacher who travels extensively throughout the United States.